I was elected on Nov. 7, 2017. I’ll update this page as my term progresses over the next four years. Hi! I’m a writer, editor, historian, and long-term Farmington resident. I’ve lived in the downtown area since 1999. I’m running in the November 7, 2017 city council election to give our city a 21st-century boost while enhancing the historic downtown we know and love. I grew up with a sense and a love of history. And I think that’s one big reason why so many people love this city as I do. The old-fashioned, small-town feel. The close-knit feeling of knowing your neighbors. Walking downtown to the library, the Civic, the farmers market. It’s a big part of what makes Farmington… Farmington. Farmington has a reputation as a family community – a historic community – a city with a heart. And as the downtown continues to grow and develop, I believe it’s important that we embrace that reputation, because it’s what sets us apart from other similar cities in the Metro Detroit area. We need to preserve and build around our historic roots. At the same time, there’s plenty we can do to bring Farmington up to speed in the 21st century. With more millennials and young families in Farmington, it’s important to have new voices in local government who’ll represent our views and concerns. Times are changing, and we owe it to our community to keep up with our wants and needs, be it new condos and townhouses or food truck rallies or community forums for the digital age. We owe it to ourselves, too, to make sure that when we talk of progress and investment in Farmington, everyone’s included. I’ve spent the summer in the neighborhoods, knocking on doors and listening to people’s ideas and issues. And while there’s widespread love for our historic downtown all across Farmington, many folks in the outlying neighborhoods feel like they’ve been forgotten in the rush to bring in mega-developments downtown. That doesn’t sit well with me. And it’s because I’m thinking with a different mindset than many of our current city leaders. Instead of pouring money into building new supersized housing complexes downtown, I’d rather invest in improving our neighborhoods. It’s a bottom-up, not top-down, approach. It means going out and talking to people about what the city could do better for them. It means asking for feedback about the kinds of development that people do want to see. Maybe forming a new committee that would lead to (for example) better walkability. These are things everyone in the city can benefit from. And I’m in this race to speak out for things that matter most to our community. Join me! I’m a writer, editor, and historian. I was born and raised in southeast Michigan, and I’ve lived in downtown Farmington since 1999. I’ve worked as an editor at a research nonprofit, as assistant editor at Michigan History magazine, and as a journalist for the Observer & Eccentric in Farmington, Northville, Plymouth/Canton, Westland, and Novi. Currently, I work as associate editor at The ACHR News (published by BNP Media in Troy) and freelance for The ‘Ville in Northville. With more millennials and young families in Farmington, it’s important to have new voices in local government who’ll represent our views and concerns. 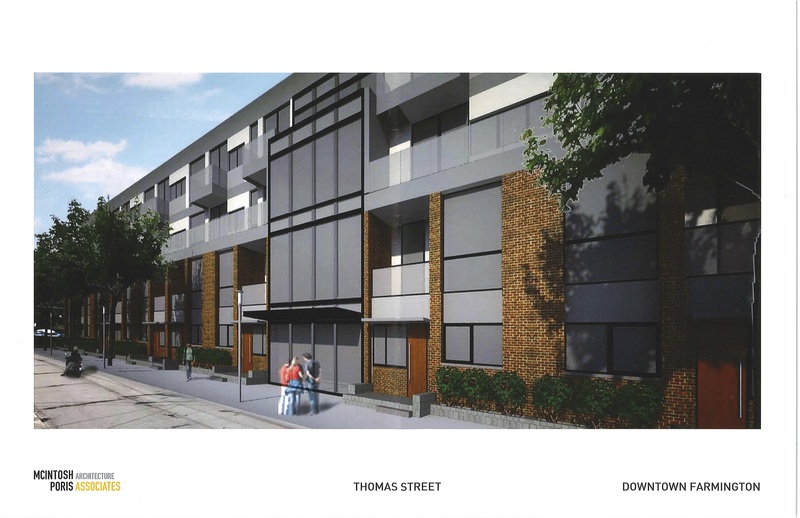 Times are changing, and we owe it to our community to keep up with our wants and needs, be it new condos and townhouses or food truck rallies or community forums for the digital age… as well as staples like regular leaf pickup and safe streets for kids and families and seniors alike. At the same time, I don’t believe that newer is always better. In Farmington’s case, I think millennials *and* long-time residents would agree that our historic small-town feel plays a big part in creating the sense of place we associate with our city. Appreciating our heritage is something I live and breathe. I served on the Farmington Historical Commission in 2014-2015, then co-founded Preservation Farmington and led an effort to save a row of Victorian homes on Grand River, across from the Sundquist Pavilion. I’ve twirled an umbrella with the Warnerettes Parasol Drill Team since its founding. I’ve volunteered at the Warner Mansion museum since 2009, where I pored over so many old photos that if I squint just so, I can almost see the outline of old Farmington as I walk through downtown. Balancing that authentic, historic feel with a 21st-century vibe will be one of my top priorities as a city council member. If you’re one of those people who votes in every election, you might also have seen me at the polls. I’ve worked behind the desk at Farmington elections for the past 10 years. I’ve helped folks vote. I’ve reported on the issues and spoken at council meetings and hearings. But when you’re trying to get things done, sometimes you have to take it to the next level. That’s why I’m putting my name on the ballot. As an editor, my job is to combine the ideas of different people to make the best possible product. To get things done even when folks disagree. As a journalist, I know that solving problems often takes researching an issue and hearing both sides. That’s what I intend to do on Farmington city council. I’m running because I want to make a difference in the future of the city we all love. I’ve got the time, the energy, and the drive to step up to the task. 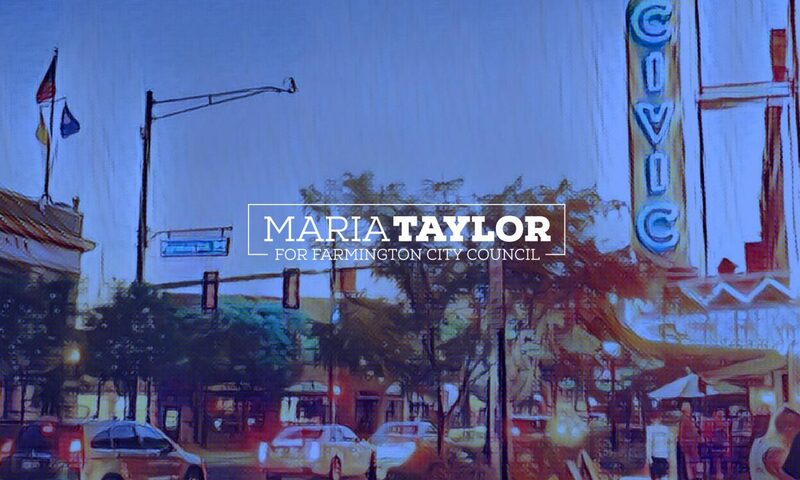 I will pour all my energy into making our community a true reflection of Farmington citizens, both downtown and across the neighborhoods that make up the city we love. Hi! I’m a writer by trade, so this website had to have a blog page. Check back every now and then for my thoughts on what’s happening around town.